TIMELESS SILHOUETTE MEETS FUNCTION | Our Chooka Skimmers mix a timeless flat silhouette with functional features to create a product you don’t want to miss out on! The beautiful leather bow and trim accent the skimmer. WATERPROOF RUBBER UPPER | We aim to provide a durable, flexible skimmer that will enhance your wear. To do so, we design our flats with a waterproof rubber upper. The handmade waterproof vulcanized construction eliminates weak spots in our flats. COZY FLAT | We design our flats with materials that boost your comfort! We use polyester/cotton blend lining that is soft to the touch and absorbs moisture. Those little droplets that may fall in will not harm this skimmer or your feet! 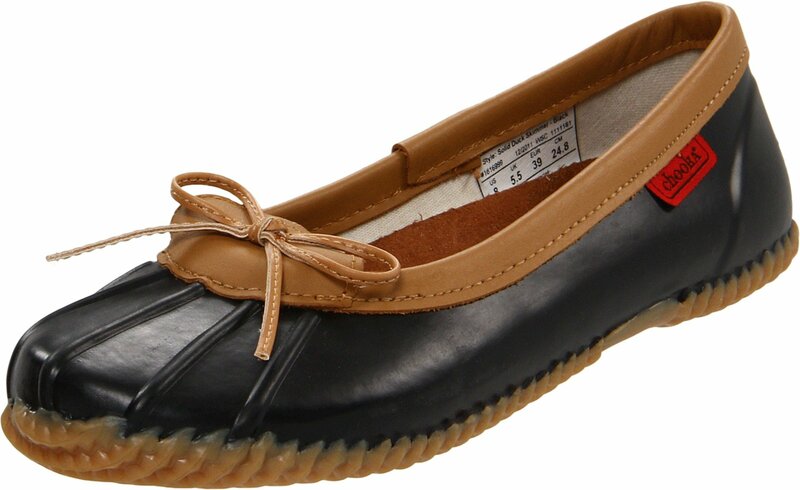 The new Chooka Duck Skimmer women’s flats are perfect for those days when the weather looks a little grey! With a sleek and chic appearance, this flat is perfect with any outfit. 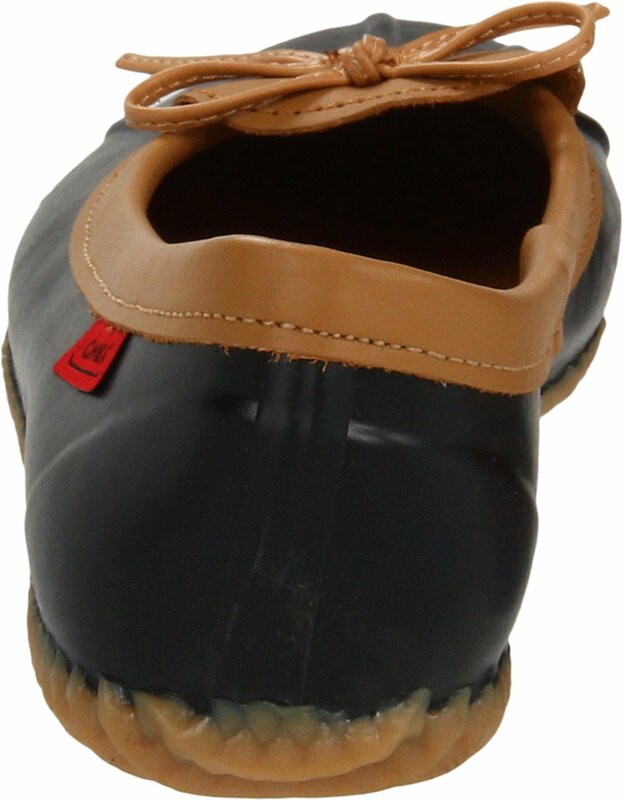 It features an easy slip on and off wear and has a textile lining with an extremely comfortable footbed, it’s crafted with rubber and leather trimming upper. This shoe also features a removable insole and a rubber sole that gives you the traction control and stability you need on those rainy days. 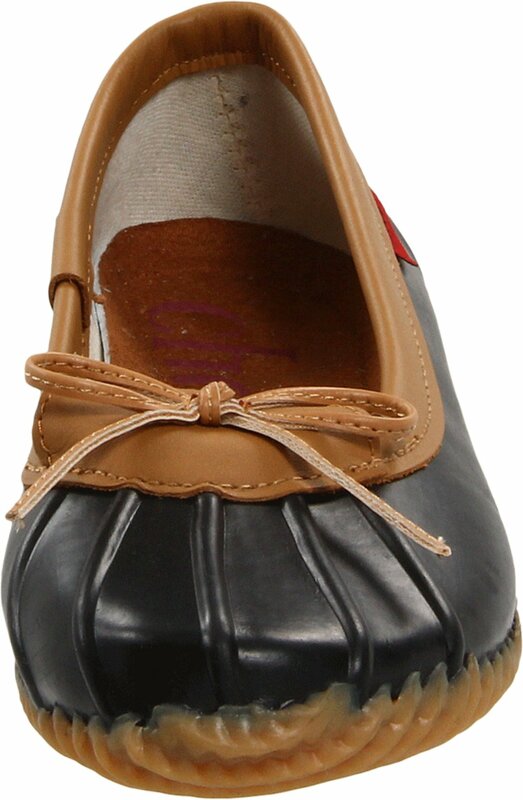 Lightweight and super practical, make sure to add the new Chooka Duck Skimmer women’s flat to your collection today! SAFETY FEATURES | We designed our flats with a traction rubber outsole that offers slip-resistance on wet surfaces. A great benefit of this outsole is the self-cleaning tread pattern. The ridges eliminate dirt and grime. INSOLE | The foot bed is made with a microsuede insole that extends up the side a little bit to maximize your comfort and wear. The insole is removable, making it easy to replace and clean! EASY CARE | To clean, use a damp warm cloth and mild liquid dish soap. Air dry. Silicone conditioners can be used too. We suggest storing our boots in a cool, dry area to help prevent the skimmer from damage. FIT | Our flats run big. For half-sizes we recommend sizing down.